Alex Purifoy via Julia Salazar campaign. 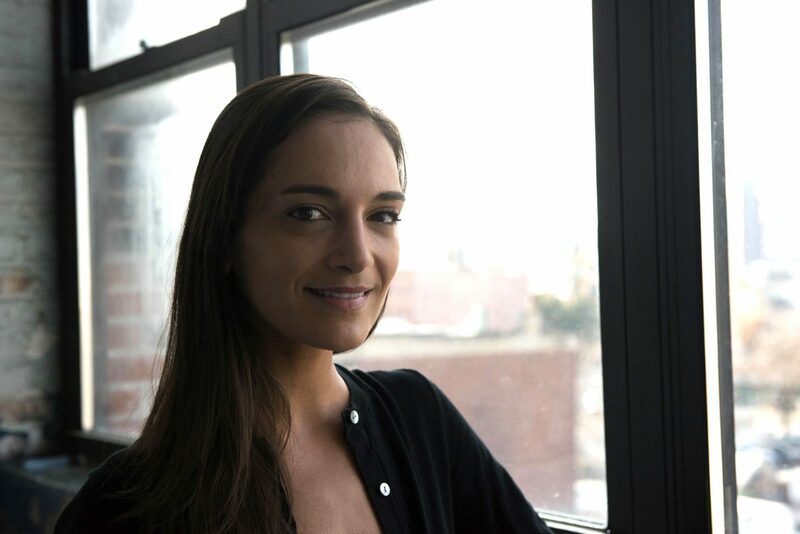 JULIA SALAZAR’S high-profile bid to unseat the New York state senator in the district that includes Brooklyn’s trendy Bushwick neighborhood took a hit last week after a Tablet magazine article raised three central questions about her self-portrayal throughout the campaign. The piece questioned her Jewishness, her political transformation from the right to the left in college, and the claim, one the campaign has repeated at various times, that Salazar is an immigrant. Salazar became a lightning rod for attention in June when the 28-year-old Alexandria Ocasio-Cortez defeated Queens’ longtime establishment Democrat US Rep. Joseph Crowley. Salazar’s platform is similar in many ways to that of Ocasio-Cortez, as is her background; both are Latina, members of the Democratic Socialists of America, and from working class families. The candidates endorsed each other, propelling Salazar’s local race onto the national stage as a media blindsided by Ocasio-Cortez’s victory watches to see whether another socialist woman in New York can win: whether Zephyr Teachout for attorney general, Cynthia Nixon for Democratic gubernatorial nominee, or Salazar in the state senate. But part of what makes Salazar especially interesting is that she emerged directly from the Jewish community’s own rejuvenated left. Until her campaign, Salazar served as organizer for Jews for Racial and Economic Justice, a grassroots New York City nonprofit, and previously spent years as an outspoken Jewish critic of the Israeli occupation. Jewish Currents co-editor Jacob Plitman spoke to Salazar about the Tablet piece, its claims about her past, and her campaign. This interview has been edited for length, flow, and clarity. JP: One key thing that the Tablet piece focused on was your Jewishness. Can you speak a bit about your Jewish identity, how it’s developed, and what it means for you today? JS: Growing up, I always knew a lot of my family was Catholic. I also knew I had a Sephardic last name, and it made me curious. I was told that I had Jewish family when I was growing up. My parents gave me an intellectual interest and spiritual interest in both Christianity and Judaism. My dad would talk about his dad being Sephardi, and then he would talk about it as a spiritual and geographical connection. And it was confusing as a kid. I read a lot, and my parents encouraged me to read the bible and apologetics and Torah as well. But I didn’t have a bat mitzvah, or a confirmation, or any of that sort of thing. My father died tragically when I was 18. In the wake of him dying I was more motivated than ever before to understand my lineage. To make sense of where we, and where I, came from. Part of it was lost hope. I would never be able to talk to my dad about this. And when I had he’d never given me clear answers about our Jewish heritage. It’s not unusual in Latin America. And in his death, I didn’t find comfort in Christianity. I was cynical about that. So upon becoming independent and immersed in an eclectic and diverse community in New York, I finally had the opportunity to learn and study Judaism and learn it in a personal way. [At Columbia University] I was undergoing something like a Jewish conversion. [Ed note: In an interview with JTA, Salazar spoke at length about her conversion.] I was being immersed. I was exploring so many things, spiritually and otherwise. It was informing me to have a more open mind, and apply this lens and tradition of liberation to everything that I think about . . . [But] my Jewish identity has nothing to do with me or my race or with my campaign. Or with whether I’m qualified to run. JP: The Tablet piece also focused significantly on your personal history, your family, and your history in the US, and what appear to be competing versions of that story. After the piece was published, journalist Emma Whitford tweeted out a snippet from an interview with you where you spoke about being born in Miami but traveled often due to your parents’ employment, eventually spending a lot of time in Colombia. You also told this same version of the story to me in an unpublished interview with Jewish Currents in April. Can you clarify this story generally, and explain how did this narrative of your birth in Colombia begin, and why you appear to have repeated that to Jacobin and elsewhere? JS: I was born in Miami and we didn’t all have permanent residence in the US. My mom is American and my dad was not. This isn’t a focus of mine and it’s not a focus of the campaign. Other people are much more interested in it than I am, they want to represent that I am an immigrant, and whatever their understanding of that is. So the answer is: I grew up between Colombia and South Florida. JP: But what accounts for the different narratives of where you were born? JS: No one on my team had been a staff person on an election before. We have a dedicated staff of three people. We don’t have consultants, which I’m proud of, and we don’t have a [communications] director. And we’ve been running a truly grassroots campaign. None are communications professionals. And nobody has ever been a full time staffer working with press on a campaign before their time on my team. I haven’t been previously speaking out about this because normally a state senate campaign doesn’t get this kind of attention. Truthfully it’s not what I signed up for and we weren’t prepared for it. Earlier on we had to beg journalists to cover this [race], and now it’s non-stop. My mistake was that I didn’t sit down and make sure everyone knew where I was born. So many times reporters contacted this staffer to confirm details of my life. And that included, was she born in Colombia? And they thought I was. And I wasn’t included in those background conversations, and that was normal. But we weren’t on the same page. We’re a first-time team. JP: Some have asked whether you are claiming an identity as an immigrant that isn’t yours. Can you address that? JS: There isn’t one immigrant identity. Colombia is where my family was and where I was in the first years of my life. Most of the time when people asked about my childhood, they haven’t been interested in literally where was I born. They wanted to know how the first years of my life were spent, and where my family came from. And I was shaped by my family’s immigration to the US from Colombia. I went back and forth between the US and Colombia. I was treated as an outsider. It alienated me from my peers in some ways because of my experience of my family being from another country. And having a different culture from other “American” kids. I would never claim nor have I ever claimed to share the experience of someone who has lived a life threatened by deportation. That’s not part of my narrative. [But] I’ve experienced people exoticizing me. Or alienating me, or treating me as different. They didn’t [care exactly where I was born], just that I was different. I can acknowledge the importance of my family, and how I’ve been separated from my family. And how my family chose to live in the US to be safer. All of this is part of an immigrant narrative. It’s not reflective of everyone. But the fact that I was born in Miami . . . it’s not ideal that people are confused about whether I was born in Miami or Colombia. JP: Another focus of the Tablet piece is your political metamorphosis in and after college. Like a lot of our generation of Jews, I myself moved leftward on the issue of Israel/Palestine because of experiences of seeing the occupation firsthand. And the renewed left is full of people, and even leaders, who didn’t always come from that perspective. Can you talk a bit about the transformation of your politics, especially on the issues of Israel/Palestine and abortion? My friend said I should go on an organized trip. I was like yeah, I wanted a free trip to Israel. He said to go on a CUFI (Christians United for Israel) trip. [On the CUFI trip] being in Bethlehem was a big part for me. It’s the first place I went in the West Bank. And we stayed in a settlement and when I was there I didn’t realize I was in a settlement, I just thought this was a pretty hilltop place. It wasn’t until later, that I realized we were in a settlement, no one told us we were in a settlement. No one else had a problem with illegal settlements. JP: What about the issue of abortion? JS: By mid 2013, I was having conversations with my peers that were provoked by a pregnant students on campus initiative, a cynical equivalent to an abortion fund. One of my best friends at the time didn’t know until [I wrote a piece supporting the organization in the student newspaper] that I was “anti-choice,” but I tried to explain that I wasn’t anti-choice, that I didn’t want to overturn Roe v. Wade. But she told me this is bad. And it was the first time it was framed for me: are you for or against everyone having access to birth control and abortion? And I’d made the wrong decision to publicly affiliate with a pro-life group. And this conversation illuminated for me how I actually felt about this. I’d never interrogated this. I’d never had an honest conversation about it. And I knew that if I was really anti-choice, I would’ve been alright with it. But I wasn’t. So I stopped. And that’s exactly how I think about it today. JP: In some of your tweets and Facebook posts, both before and after the release of the Tablet piece, you called into question the methods and timeline of Tablet’s reporting, especially the manner in which the reporter contacted your family. However several commentators, including progressives, have noted that these methods are basically normal reporting procedure for a report on someone running for office. Given a few days’ hindsight, would you have handled the piece and its aftermath differently? JS: I wish that I had known that it was going to be published and what was going to be published. Or at least an idea. So that I would be prepared to immediately speak to the content and defend myself, instead of being bombarded by reports of it and having to answer questions. I’ve never seen this kind of attention on a local campaign. And [our team wasn’t] on the same page about every detail of my personal life and personal narrative. If I’d had the foresight to establish that in my campaign, then I would’ve been better equipped to very quickly respond to this piece. My mom has been deeply supportive of me and my candidacy throughout this race. And it deeply upset me to have [my mom and brother] brought into this. They’re not running for senate. I understand the importance of talking to the people who know the candidate personally. But for me it was, honestly, stressful and hurtful to see my family members subjected to that. But I understand. It’s deeply unpleasant and a fact of my life. JP: So you’re in the final stretch of your campaign coming up on the primary vote, what’re the main issues you’re going to be focusing on in these last crucial weeks? JS: Voter contact, we’re aggressively canvassing. We’re always focusing on housing. It’s on the forefront of everyone’s minds. And focusing on abortion and the Reproductive Health Act, given our federal political moment. JP: Thanks for taking the time to answer these questions. Full disclosure: I overlapped with Julia during her short time in J Street U, and gave her campaign $50 a few months ago. This story was updated to include information about her involvement in Jewish groups at Columbia. Jacob Plitman is a co-editor of Jewish Currents.